“Why have you come to court with this demand. You say you are a BJP man. Why don’t you approach the government? Your party is in power”, the bench headed by Chief Justice J S Khehar told petitioner Ashwini Kumar Upadhyaya. 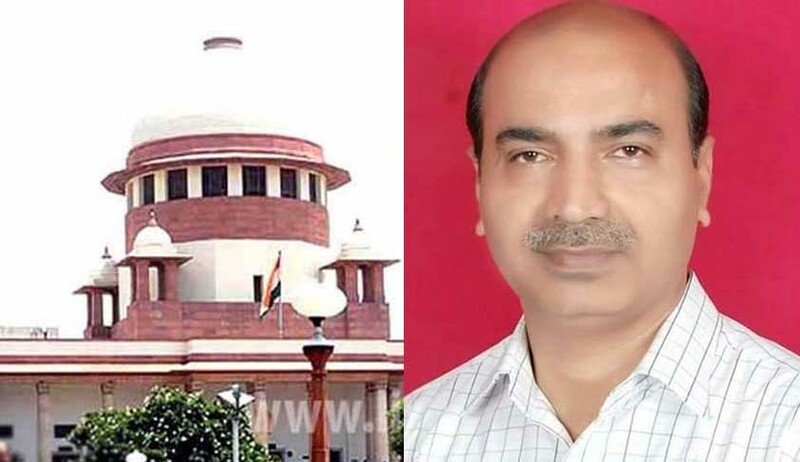 The Supreme Court today rejected a PIL filed by a Delhi BJP leader which sought a direction to the Centre to make study of Hindi compulsory for all students of Classes I-VIII telling him to approach the government directly as “his party was in power”. “Look the court cannot interfere in such issues. Today you are asking for Hindi. Tomorrow somebody will come to court and ask for making study of Sanskrit mandatory. You and me would ask for Punjabi” . Advocate Suri has then withdrawn the petition. The Court dismissed it as withdrawn. On April 24 also the same bench declined to entertain a PIL filed by Upadhyay for a direction to the government to review the working of the Constitution saying his party was in power and better approach his government. “when your party (BJP) is in power at the Centre and no decision was taken, the court cannot intervene as the issue raised by him is a policy matter and it is indeed the prerogative of legislature and executive. You approach the government”, the CJI had told Upadhyaya then also. The PIL for compulsory teaching of Hindi said said it will promote fraternity, unity and national integration, the great golden goals as set out in Preamble of the Constitution. At present, when a North Indian visits East, West or South India, he becomes a foreigner, as he cannot read, write and understand their local language. The petitioner said besides the fact that Hindi is the official language as has been enunciated in the Article 343, it is spoken and used in major part of the country. There are only few States where there is only regional language is spoken. At the time of framing and adoption of the Constitution, it was envisaged that English will continue to be used for executive, judicial and legal purposes for an initial period of 15 years i.e. till 1965 only, said the petitioner.